The relaxation response appears to manage stress and some chronic conditions at the deepest levels. Chronic stress takes a toll on the body: it contributes to everything from high blood pressure and heart disease to anxiety, digestive disorders, and slow wound healing. On the flip side, managing stress helps control many chronic conditions or reduce your risk for developing them. Strategies include regular exercise, a healthy diet, and better sleep. And one strategy in particular—eliciting the relaxation response—may enable you to manage stress right down to your genes. The relaxation response is the opposite of the body's stress (fight or flight) response. It can help lower blood pressure, heart rate, breathing rate, and stress hormone levels. "It does even more than that: when you elicit the relaxation response, you secrete beneficial hormones and reduce the activity of harmful genes," says Dr. Darshan Mehta, medical director of the Harvard-affiliated Benson-Henry Institute for Mind Body Medicine at Massachusetts General Hospital. Blood pressure. The relaxation response may activate genes associated with dilating the blood vessels and reduce activity of genes associated with blood vessel narrowing and inflammation. "It increases nitric oxide production, which in-creases the elasticity of the blood vessels and relaxes them," says Dr. Mehta. That can help lower blood pressure. Blood sugar. The relaxation response may improve insulin activity by activating genes that help to control blood sugar. Digestion. The relaxation response may reduce the activity of genes directly linked to the processes of inflammatory bowel disease (including Crohn's disease and ulcerative colitis). "Stress stimulates the digestive tract, which may cause diarrhea or nausea. The relaxation response returns gastrointestinal movement to a balanced state," explains Dr. Mehta. Inflammation. "The relaxation response appears to turn off genes implicated in inflammation, and the stress response itself," says Dr. Mehta. While we need inflammation to fight infection and heal the body, chronic stress puts the body in a constant state of inflammation. That can increase plaque buildup inside coronary arteries, which may raise the risk for heart attack, stroke, and chest pain, and can also trigger unregulated cell growth, contributing to cancer risk. Does this mean the relaxation response can prevent health problems, or even reverse health problems that have already appeared? "It's encouraging, and we are studying that question right now," says Dr. Mehta. In order to practice eliciting the relaxation response, just sit in a quiet place with your eyes closed. 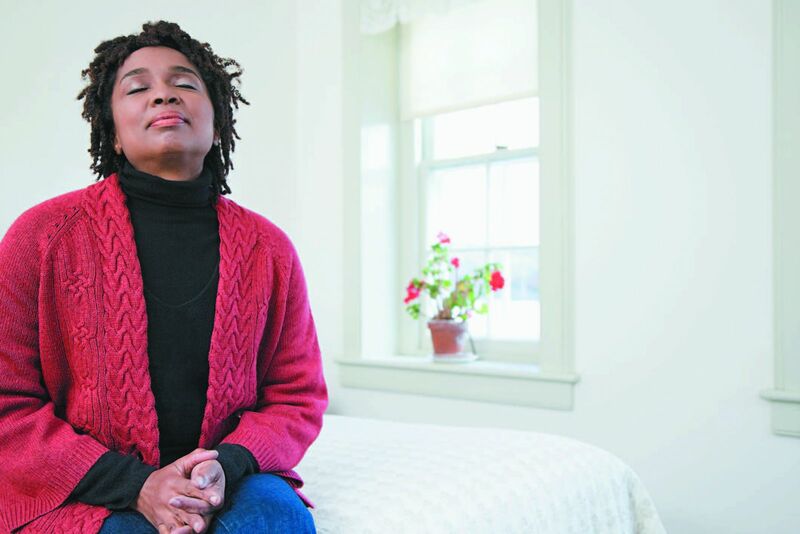 Breathe deeply; relax your muscles; and silently repeat a word, phrase, sound, or short prayer of your choosing over and over, such as "one" or "peace." If stray thoughts come along, let them come and go, and return to your word, phrase, or sound. Practicing this approach for 10 to 20 minutes daily brings positive physiological benefits. The more often you practice the relaxation response, the more benefit you will see with time. Other techniques that evoke the relaxation response include mindfulness meditation, tai chi, yoga, and the following methods. Focused breathing. Focusing on slow, deep breaths can be calming. Make sure your belly moves in and out as you breathe. A body scan. Concentrate on one part of the body. Imagine it is open, warm, and relaxed, and that you are releasing tension from that area. Move on to another body part and repeat the process. Guided imagery. Create a soothing scene in your mind that makes you feel relaxed. It may be a place or an experience. Allow your senses to be involved, imagining the smells you are encountering, the sounds you are hearing, and the ways things feel in your hands. Repetitive prayer. Repeat a favorite prayer from your faith either silently or out loud. You can use a guide (such as your breathing or a rosary) to help with the repetition. For more information, contact the Benson-Henry Institute for Mind Body Medicine at 617-643-6090 or www.bensonhenryinstitute.org.